With the latest approval and acceptance of notable veterans in Comedy industry, King Ali Baba, Ace comedian Omo Oba Gbenga Adeyinka D 1st (GCFR), and Koffi ThaGuru with other entertainers cutting across the movies, music and dance industry like Sheyi Ashekun, Aisha Lawal, Hilary Jackson, Arewa, there is no gainsaying the obvious that the upward moving foremost grassroots talents exposition, UNLEASH Your Talents is fast gaining widespread recognition and acceptance. 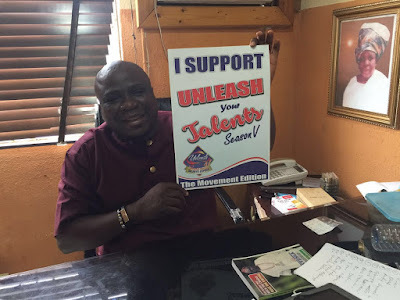 Barely two weeks after the official unveil of this year edition of the project, it has recorded the endorsement and goodwill support messages from notable entertainment personalities. With this welcome development, it is safe to state that the new infusion into the project is good to go. The new infusion which the organizers called the MIME (Mentors’ Inspiring Moment for Empowerment) is a scheme that will see to winners and 1st runners-up of each segment of the project being adopted for mentorship by veterans in the industry. Top on the list of endorsement for the project is the King of comedy, Ali Baba who assured the organizers of his full support and identification with the project. He however warned that as one of the ‘Sponsors’ of MIME scheme, he would settle for nothing but the best amongst the comedians to be UNLEASHED at the Grand finale. Also keying into the life impacting project is Omo Oba Gbenga Adeyinka D 1st who is also coming on board as a Sponsor of the MIME scheme assured of his commitment towards the actualization of the vision of the project which includes encouraging and giving opportunities to upcoming talents. In the same vein, the renowned Comedy Impresario, Koffi ThaGuru assured the organizers of giving on regular basis, performance slots at his periodic shows for discovered talents from this year edition. Celebrated eclectic dance machine Hilary Jackson also gave his endorsement nod to the project by accepting to sponsor the dance segment of the MIME scheme. The one time brand ambassador for Lucozade boost assured the organizers of giving adequate mentorship leveraging for whosoever emerge winner of the Dance segment. Also throwing their supports behind the project are entertainments personalities like Movie Stars like Sheyi Ashekun, Aisha Lawal and Arewa of MTN Project Fame. 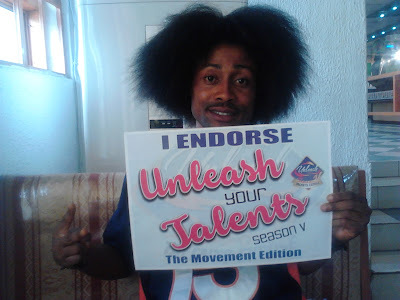 UNLEASH Season V which promises to enjoy the massive support of the nation’s leading telecommunication Giant, Airtel Nigeria, is also recording the support of Nigerian leading Mobile devices sales/service company SLOT Nigeria and identification of other private and government establishments such as Intercontinental Distillers, I Care Foundation, Legendary Gold Ltd, G & M Dry Cleaners, Onward Movement, Glorious Opportunity, Globatech World Computers, Laspotech, StojaIct and Corsican Brothers. 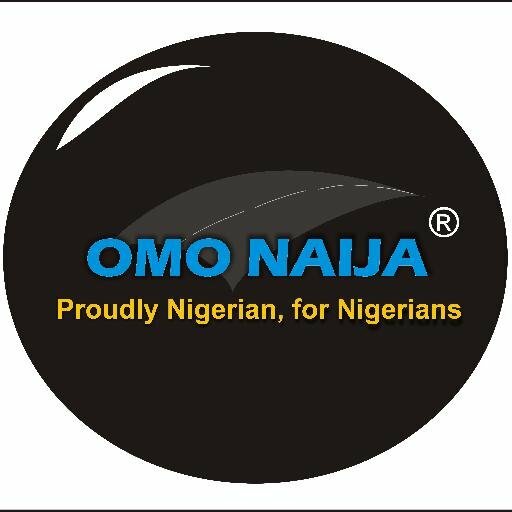 Other supporting brands includes Suave Records, Organization of Party Entertainers of Nigeria (O.P.E.N), Stemos Technology, Gravido Fashion, DuoSystems, Ronnie D & Associates, Chess Int’l and Ikorodu Ambassadors among others. Eroz Place (Official Chops Partners); Beeth Events (Official Catering Partners), Nikimore Ltd (Official Decorations Partners); 226 Makeovers (Official Makeover Partners); Five Star Beauty Parlour (Official Hair Partners); Owambe Group (Official Clothing Partners); Dicxon Apparels (Official Branding Partners); NETBOSS Services (Official IT Partners); D’Jos Hotel (Official Hotel Partners); Covenant Music Institutes (Official Music Directors); Rhoda Youth Centre (Official Audio-visual Partners); Kingscourt Events Centre (Official Events Hall Partners); DJ Tonyz Da Blastmaster (Official DJ) and UPTOWN Beauty World. HipTv, Yes Int’l Magazine, Encomium Magazine, ICON Magazine, Acada Xtra Magazine, The Impact Newspaper, Owanbe Magazine, Sahara Weekly Magazine, Kosofe News, E-247 Magazine, Waves Pictures Affairs, TopNaija Music, Moreklue Group, Root Tv, Digital Interactive Image, and a host of blogs and online Newspapers like Mike Angelo News, The Eagle Online, Hottestgistsinnaija, Livefeeds.com, CKN News, Helen Events Blogs, Kinggsblog, Ikoroduliving.com, Talkless.com, MetroNews, Nosingnews, Naijanewsrave, Proudly Mumu, Howfa9ja, Southwest Reporters, Blackbox Nigeria, SSMG Promotions, and Omo Naija Blog. 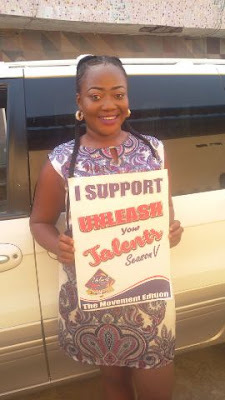 Interested participants are to either REGISTER online www.unleashyourtalents.com.ng or SMS REG/Names/Category/Age/Address/ to 08028165620 or 08126656206 E.g. REG/John Abdul/Dance/16/14, Kareem Street, Ori-Okuta Agric Ikorodu to 08028165620 or 08126656206. Applicants would receive confirmation of their registration code with audition details via SMS within 48-hours of registration. Auditions are to hold at four major locations within Ikorodu division namely, D’Jos Hotel, Ijede; Laspotech; Something Else, Ikorodu and Pizzles club. The outcome of the auditions would see to selection of five (5) Most Outstanding Talents each in Music, Dance, Comedy and Modelling for the next stage which is UNLEASH Orientation camp.